Take the family on a vacation they'll never forget! With the Hawaii Ohana (family) Celebration, you can enjoy perks like Free nights, complimentary daily breakfast for two, room upgrades, resort credits, and more at select resorts! Rent a mini-van or SUV Dollar Rent a Car, arrange an exciting tour or activity from Worldstar DMC, and see everything the islands have to offer! It's the perfect way to share time with the family while learning about the rich history and culture of Hawaii - and to capture those special moments that will create life-long memories! So, whether you're interested in touring the islands, relaxing on the beach, or reconnecting with loved ones during a family reunion, you'll love the options available to you in Hawaii. Book your family vacation by May 2, 2019! Exclusive reduced rates! 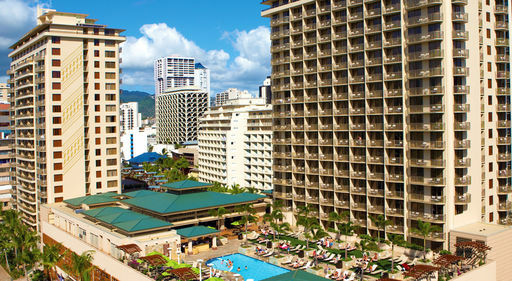 Located across from world famous Waikiki Beach, this contemporary hotel is a three minute walk to the Honolulu Zoo and a ten minute walk to the Waikiki Aquarium. Explore the all-new Prince Waikiki! Enjoy renovated guestrooms, an infinity pool deck, dining, and more! Exclusive Offer - Fourth night Free, complimentary room upgrade, plus daily breakfast for two! Complimentary one category room upgrade reflected: Ocean-view Room to Oceanfront Harbor; Oceanfront Harbor to Oceanfront room; Oceanfront room to Ocean Front Premier Room. Exclusive Hi-Five Promotion! 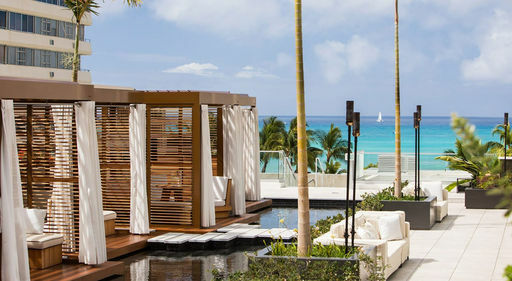 Every fifth night Free, plus receive a $150 resort credit when booking an Ocean-view Room or higher! 2018 Apple Vacations Crystal Award Winner - Best Staff & Service - Hawaiian Islands! Book Paradise Made Simple for the lowest available rates! 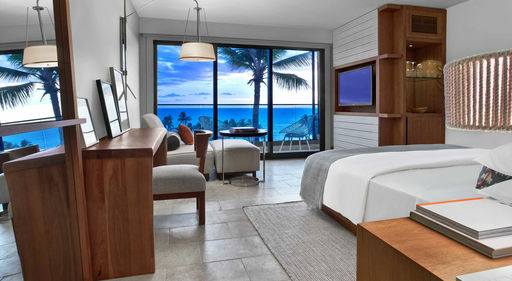 RESIDENCES - Ideally located in Waikiki with studio, one, two, and three-bedroom residences, each with full ocean view! No resort fee. Escape a Little Longer - save on your stay of four nights or more! This all-suite property includes daily made-to-order breakfast and a Manager's Evening Reception. Stay and save up to 30%! This resort has undergone a complete transformation, including newly redesigned rooms, new culinary experiences, and re-imagined spaces. It's also home to the longest resort water slide in Hawaii! OHANA SUITE - Ideal for families! Each suite is 665 square feet and features two double beds, a deluxe pull-down wall bed, and a spacious bathroom with a double sink, separate shower, and tub. Other features include a wet bar and microwave oven. RESORT VILLAS - Winner of the AAA Four-Diamond Award for seven consecutive years! Luxury studios, one, two and three-bedroom suites available. Enjoy the convenience of a full gourmet kitchen, a large lanai, and an in-room washer and dryer. Experience the splendor of an aquatic playground, Ho'ola Spa, and fitness center. Exclusive complimentary, daily breakfast for two! 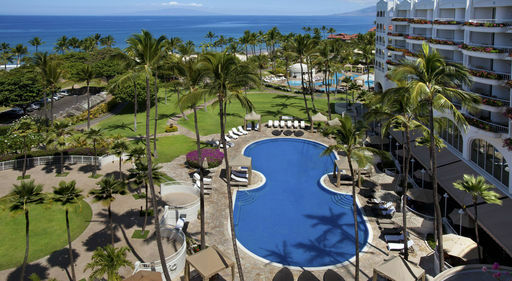 This luxurious all-suite and villa resort is located in sunny Wailea. Enjoy Free Hawaiian Cultural activities, including the Outrigger Canoe Experience (five night minimum required). Exclusive Savings - 10% off! Discover a new lifestyle experience with indulgent amenities that renew your spirit. Exclusive Offer - Reduced rates and complimentary daily breakfast for two! Located Beachfront on scenic Wailua Bay. Only a short drive to Kapa'a town and just five miles from Lihue Airport. Splash around in the largest family pool on Kauai! Free shuttle to/from the airport and golf courses to hotel. The Kalapaki Kids' program is also available. Exclusive Offer - 10% off Bed & Breakfast room categories! Find your paradise at this luxury oceanfront resort! 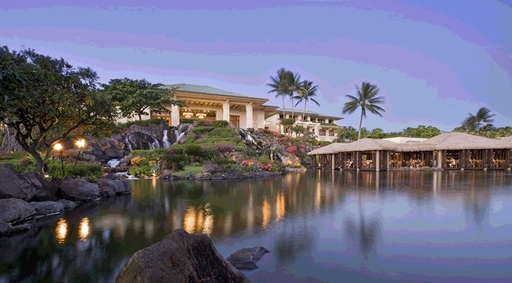 Enjoy this beachfront hotel on the sunny Kohala Coast! Stay and save up to 30%! Exclusive Offer - Fifth night Free, complimentary room upgrade, plus daily breakfast for two at Ikena Landing restaurant! Exclusive Offer - 20% rate reduction, two Fun and Sun activity passes, plus a $100 food and beverage credit per room (four night minimum required). Voted a Top 10 Family Resort by Travel & Leisure! Book Paradise Made Simple for the lowest available rates!